There was one post published on January 1, 2012. 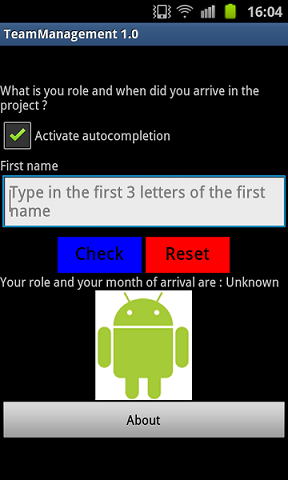 I finally got the time to develop my first small Android application. I tried to go a little bit further than the traditional “Hello World” sample. The application, called TeamManagement, is still a simple one : type in a name of a project member and it will display what his role is and when he arrived in the project. That’s it. I explored some nice features : relative layout, autocompletion, popup, menu at the bottom, show/remove image etc. 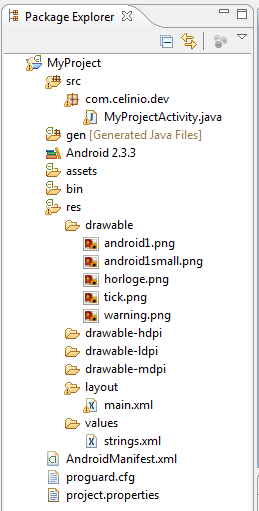 The file /MyProject/res/values/strings.xml is where the name of the application is set.